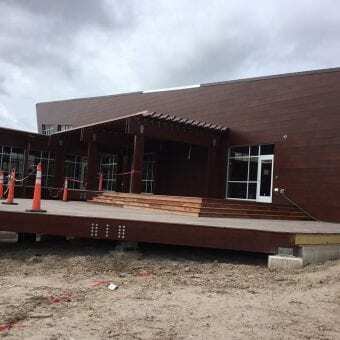 Completed in 2017, Johnsonville Sausage Global Headquarters Addition is a two-story, 50,000 square-foot building that provides additional workspace for the company’s customer service, marketing, finance, and food service departments. A new board room is also part of the project. 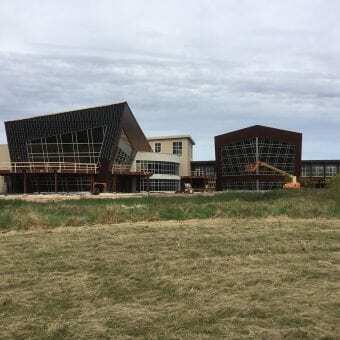 Featured in the new building is a large fitness facility, including an equipment-filled exercise room with a view of the pond, along with several classrooms. The entire building and its services are provided as a benefit to Johnsonville members and their families. Another highlight of the building is a large multiuse space intended for training and bigger events, which can be configured in a variety of ways to accommodate various groups, with a large sculptural art piece as a focal point. The Addition connects to the current Global Headquarters by way of a serpentine, glass-walled link that offers several small collaboration areas in a space that seems to float above the landscape. 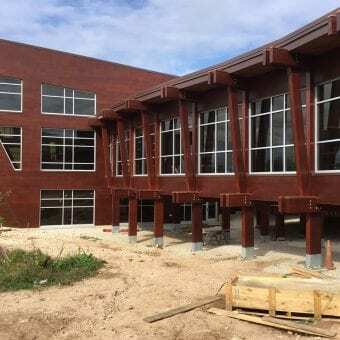 For the building’s façade, Knight Wall Systems’ CI® System was specified, utilizing ¾” horizontal PanelRails and ¾” CI® Girts installed over Dow® Thermax Xarmor insulation, with stainless steel Tek screws and Knight’s patented ThermaStop® thermal isolators. 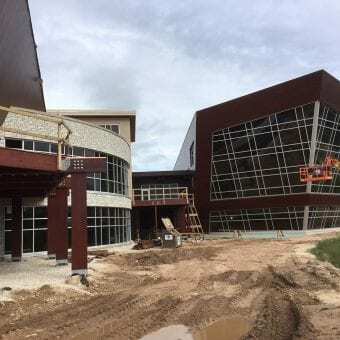 “Knight’s components were specified because they accommodate a variety of substrates,” Abacus Architects principal Kyle Karstaedt said. 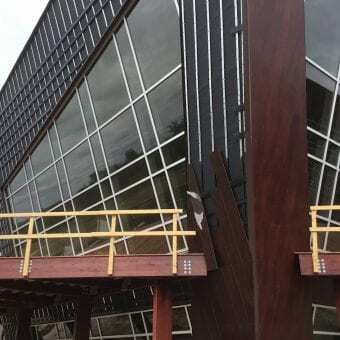 “It’s a truly engineered system.” Prodema phenolic wall panels were used as cladding, with two different colors of panels installed in different orientations. This project will enable Johnsonville to expand its investment in engineering, research and development and marketing, as the company prepares for additional growth in its domestic, international and foodservice businesses. The company plans to add more than 100 jobs in the next five years.